Wireless charging HUD car navigation support improves the driving safety which it can project navigation information onto the panel and make the navigation information more visualized. When placed on the center console, drivers don't need to bow to see because it will not block sight, a good companion on the go. Turns phones into a head-up display for any car, easy use and read directly. 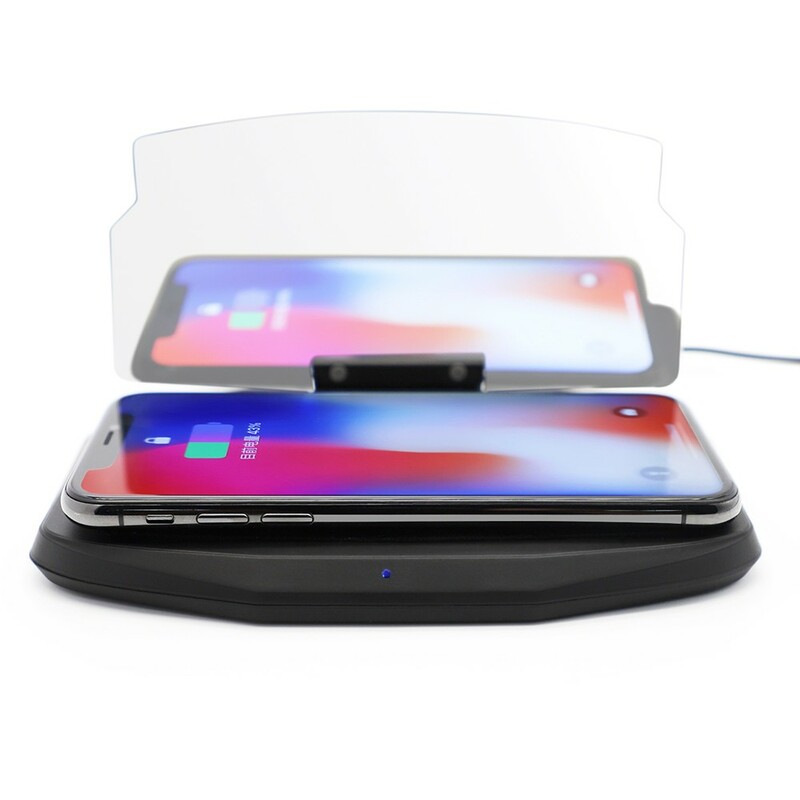 Wireless charger with larger sensing distance, Qi certified, overheat protection and short circuit protection, can be charged without removing case. One step more faster, Wireless more convenient. Non-slip mat can stick the Smartphone even in uneven areas. 1, Operate according to the manual, Some models have already got a built-in clip, they can match the wireless Qi charger directly. While some models need another wireless charging clip. 2, Please confirm that your device is Qi-compliant or supply your own Qi-compliant receiver to enable charging. (Qi receiver not included).